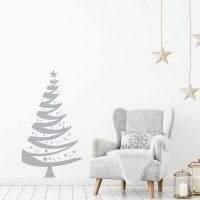 Don't have enough space for a pine tree? Don't want to have the floor covered in pine needles? 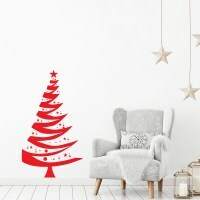 This Christmas Tree wall decal is the way to go for an ecological Christmas and it will take you only a few minutes to decorate it! Don't have enough space for a pine tree? Don't want to have the floor covered in pine needles? 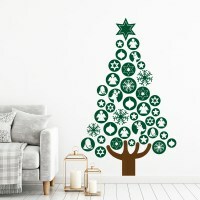 This Christmas Tree wall decal is the way to go for an ecological Christmas and it will take you only a few minutes to decorate it!